I'm always looking for crew who are willing to help pull a few ropes, have some fun and pay a contribution. 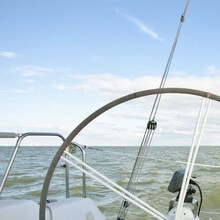 I love sailing and love sharing the thrill of it all. Boat descriptionWell maintained vessel with all mod cons and instruments. Safety equipment up to date.